What better way to spend your family time together than playing a board game that can improve your child’s skills in many aspects? 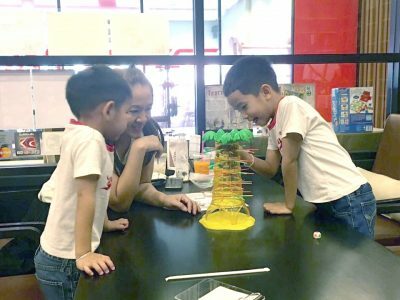 Playing games together with your family is not only a great way to spend quality time together, but you also build thinking and learning skills at the same time. Children adore being engaged with their loved ones. They want to please their parents, play with them, and listen to them. 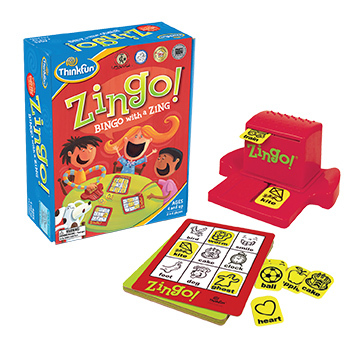 Playing board games is an easy and excellent way to spend unhurried, enjoyable time together. As an added bonus, board games are also rich in learning opportunities. Board games do not have to be academic games to bring benefit. Just playing them can teach many important skills, such as sharing, communicating, waiting for their turn, and interacting with others. More importantly, board games can help strengthen your child’s attention span and ability to focus. Also, board games can satisfy your child’s competitive urges and desire to master new skills; skills such as number and shape recognition, grouping and counting, letter recognition and reading, visual perception, color recognition, eye-hand coordination and manual dexterity. Even simple board game like Snakes and Ladders can teach them many life skills – even though your luck can totally change in a moment, if you persist you will eventually reach your goal, and possibly even win. You can be the last one on the board and still have a chance to win. Although in the long run we need to teach values, ethics, academic skills, and the importance of playing by the rules, in the early years the primary goals are helping your child become more self-confident, ambitious, and to enjoy playing with others. If you’re playing with more than one child, divide the family into teams, giving each player a job he or she can do well: A younger child may be responsible for rolling the dice (which is important, since that is where the luck comes from), and an older child the job of sorting the Monopoly money or managing pieces. As children approach 5, they have more sophisticated thinking skills and can begin to incorporate and exercise their number, letter, and word knowledge in literacy-based games. By 6, children may prefer more cognitively challenging games like checkers, which requires – and helps develop – planning, strategy, persistence, and critical thinking skills. Here are some of our favorite game picks for 5 and 6-year-olds. A longtime favorite, this Bingo-style matching game relies on a player’s ability to spot pictures (of a dog, say, or the sun) and match them quickly to the words and pictures on their play card. As in Bingo, the first one to finish a complete line of items wins. 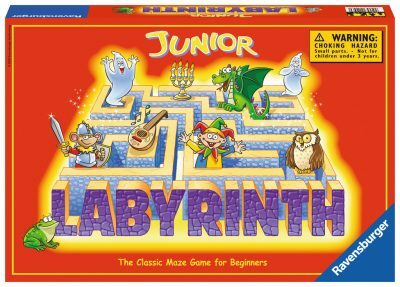 Each player gets a large, easy-to-handle piece shaped like a ghost, which is moved through an extra-large maze in an attempt to reach a treasure. While the path may appear straight, the walls move and shift, so getting there can be a challenge. This game imparts the idea of impermanence and change, since a path that was open just a moment ago might now be closed, and vice versa. Players have to figure out what to do when circumstances change unexpectedly — a good life skill to learn. Learning highlights: Teaches spatial relations and relies on some manual dexterity. Children take playing games seriously, so it’s important that we help guide them through the contest. When a playing piece falls to a lower level, our kids really feel sad; when it rises up high, they are remarkably proud and happy, even if we adults know that it happened only by chance. Therefore, you need to help balance your child’s pleasure in playing the game with their very limited ability to manage frustration, and how to deal with the idea of losing.